Check out all of the recurring events here at Blindness Support. 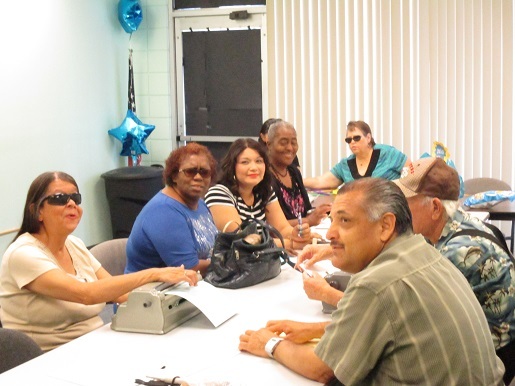 Senior Day is a support group that was created to empower seniors ages 55+ that are blind or Visually Impaired to get out in their communities. Our objective is for individuals to network with others, socialize and be more confident in new environments. This event is held on the second Friday of the month from 10am-12noon at BSS. Free to the public. We have an Adjustment to Blindness Peer Support Group where you can come and discuss the issues you face as a blind person. This group is for people who speak Spanish. This event is held on the second Friday of the month from 1:30pm-3:00pm at BSS. This event is held on the third Friday of the month from 10am-12noon at BSS. The Health and Safety presentation is to inform and teach everyone about being safety minded and healthy well-being at home and in the work place. Are you having difficulties adjusting to blindness? The Adjustment to Blindness is a peer group of Blind and Visually Impaired individuals who come together to discuss the issues about blindness and the challenges of coping with being Blind. Come to this meeting for open discussions about these issues. This group meeting is free to the public. 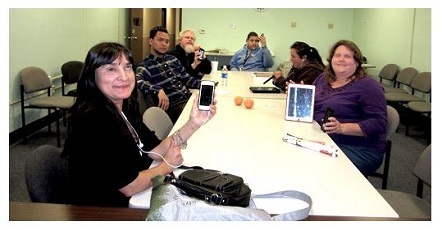 Come to our Apple Devices Club! 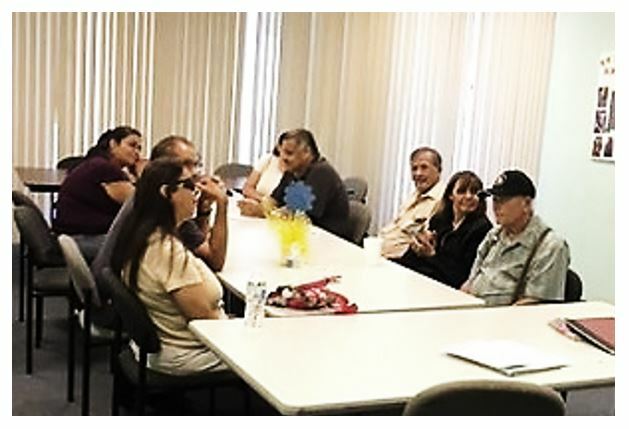 Meets on the third Friday of every month from 1:00PM- 3:00PM. We discuss topics related to Apple iPhone, iPod Touch and iPad Devices and Apps followed by open discussion. It is free to our Blind patrons and do not forget to bring your iPad, iPod, or your iPhone. If you do not have an Apple Device, but would like to Join us and learn, you are welcome to come! Our Meetings are invite only. Please contact us to RSVP before the meeting date. This event is held on the last Friday of the month from 10am-12noon at BSS. It is a lot of fun. Come on in and be a part of this club. We will have phrases printed in Jumbo Braille, Uncontracted Braille, and Contracted Braille. We will focus on how to maintain and increase the fluency of your Braille reading skills. For more information on these events, you can contact us at: (951) 341-9244. These events will take place at the BSS Main Office Facility located at 3696 Beatty Drive in the City of Riverside.